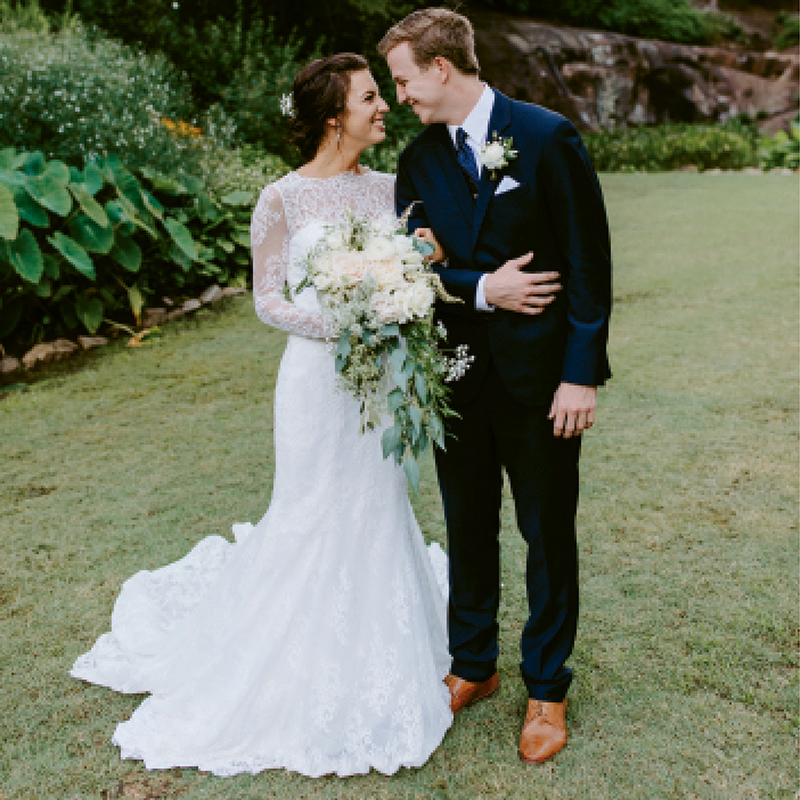 Lydia, a third grade teacher, and Phil, an account executive at Blackbaud, met on their first day of ninth grade in Greenville and quickly became best friends. Though they saw other people throughout high school, Phil attests that he always had feelings for Lydia, and the two finally got together their senior year. They dated long distance while attending Clemson and the College of Charleston, and after eight years in each other’s lives, Phil popped the question during a sunset picnic at Black Balsam Knob outside Asheville. Their hometown wedding ceremony was officiated by Phil’s father, and after a honeymoon in Cancun, the couple returned to downtown Charleston, where they live with their rescue dog, Nash.